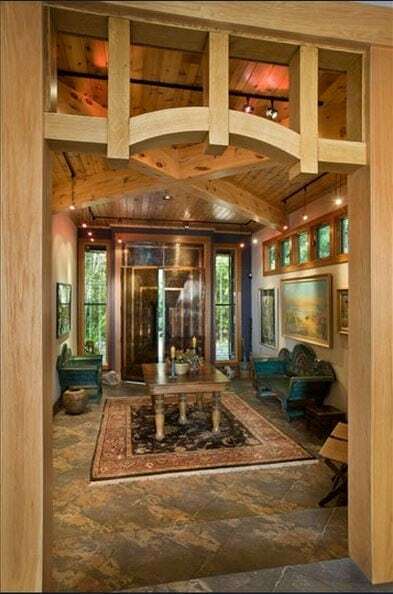 A vaulted ceiling that soars overhead, adorned by an intricate web of timber framing – this is the image many of us see when we visualize a timber frame home’s interior. Although soaring ceilings and repeating timber trusses are very indicative of traditional timber framing, they do not have to be the standard look for every home design. 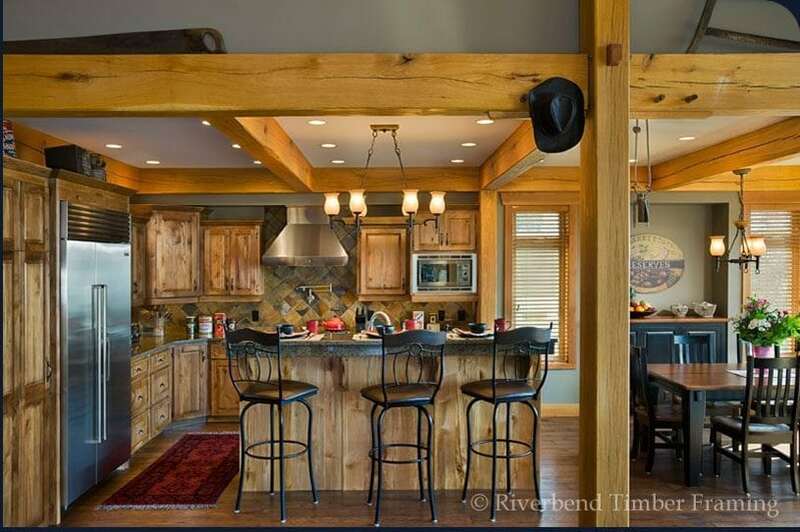 For many traditional timber frame homes, the open space of the main living areas – the kitchen, great room, and dining room—are typically where vaulted ceilings with heavy timber influence would be seen. However, the use of non-vaulted ceilings is another option that homeowners can choose, creating a completely different look and feel for their layout and opening up alternative ways to incorporate the timber framing they love within each space. Some couples prefer the added privacy that comes from layout separation, utilizing a non-vaulted ceiling creates the opportunity for this by increasing the ability to incorporate more interior walls. By choosing flat ceilings, there is more flexibility for how each individual space will interact with the home’s timber framing without it being impacted by the neighboring room. For instance, the great room of a home may show rich, robust posts and beams framing its walls, while the adjacent kitchen may reveal more subtle timber accents, taking on a more conventional look. There are some who would prefer to see their timbers included as more decorative pieces, or to subtly highlight and break up rooms as opposed to flowing through each space. For example, the transition between a home’s dining room and the kitchen area could be embellished by a truss or bent system acting as a grand entryway. The incorporated traditional timber framing within your home can happen in many ways, whether you prefer vaulted or non-vaulted ceilings. Speak with your designer to discuss the different options for your home’s interiors, today.